SSU kicks off 2017 with the first of many album reviews from our new writing team. 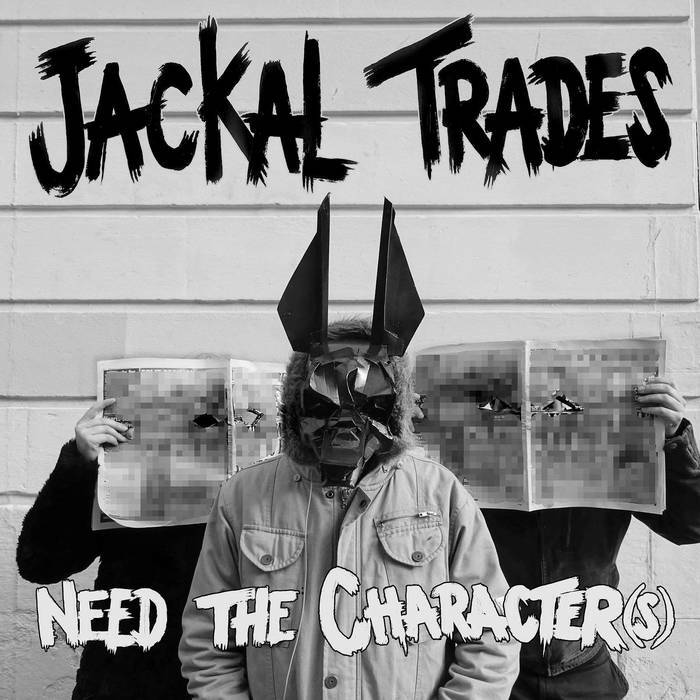 On this one, Hannah Westwater tackles the new Jackal Trades record. Good art unashamedly shines a light on the issues touching society at its heart, and that’s what Need the Character(s) successfully attempts to do. With Mark McGhee (styled as McG) at the helm, this debut full length under the Jackal Trades moniker could hardly have been released at a more politically turbulent time, and the commentary threading the album together reflects as much. Drawing on the production skills of some familiar names from across the country (e.g. Scatabrainz, Mackenzie, Soundthief), Need the Character(s)’ beats are very much its greatest asset, and what will keep listeners hooked. ‘Triangular Trades’, one of several stand-out tracks, sees McG echo: “They took our jobs/Who did – the robots?” over a dark trip hop-esque beat, lamenting colonialism to modern xenophobia and the common avoidance of Scottish culpability. The industrial sounds featured on ‘Miley Syria’ can be found throughout the release. That track’s shift to gentle piano tones as the chorus hits, while not ineffective, is symptomatic of something the album could improve on. It’s experimental and rarely fails, but it’s difficult to pin down an identifier of the Jackal Trades sound. In a blooming scene, it will soon be the case that offering something uniquely recognisable without sacrificing creativity will be necessary in order to stand out. That said, there’s no shortage of highlights to be found on the release. The tongue-in-cheek ‘Marilyn Monroe Logic’ (featuring Ella Maby) brags a criminally infectious hook, while ‘I Am the Fear…’ is a chagrined but fun exploration of the-day-after-the-night-before over an old school head bopper of a beat. McG has a real talent for penning bars which can be wonderfully on-the-nose while remaining graceful and poetic. Rapping over the horns of ‘Character Building Society’, he drops slick lines like: “To predict is to gamble/to smile is to live/I have nothing in my savings/I have too much to give”, and “Karma’s not a theory, it is merely common sense/It’s a slow motion boomerang that knocks you off a fence”. This falters a little on atmospheric electronica track ‘Century of Self’, which seems like it should be one of the best tracks on the album, held back by missteps like “everyone holds a bank account but no one ever holds a bank to account” – well intentioned and certainly not terrible but shown up by the skill demonstrated elsewhere on the album. The majority of his flows are masterful, bold enough to grip a listener’s attention yet reasonably measured so as to weave in and out of first-rate instrumentals without overpowering his lyrics. Need the Character(s) is an impressive effort from McG & co. showcasing beats which could be carried far beyond the realm of Scottish hip hop, as well as a well-judged mix of politically hard-hitting and tongue-in-cheek lyrics. Perhaps the last word should be left with ‘Century of Self’, succinctly describing the reality of our political climate entering 2017: “This is not satire any more”.